The wreath sale has been a great success. We hope you are all enjoying your Mickman's products! 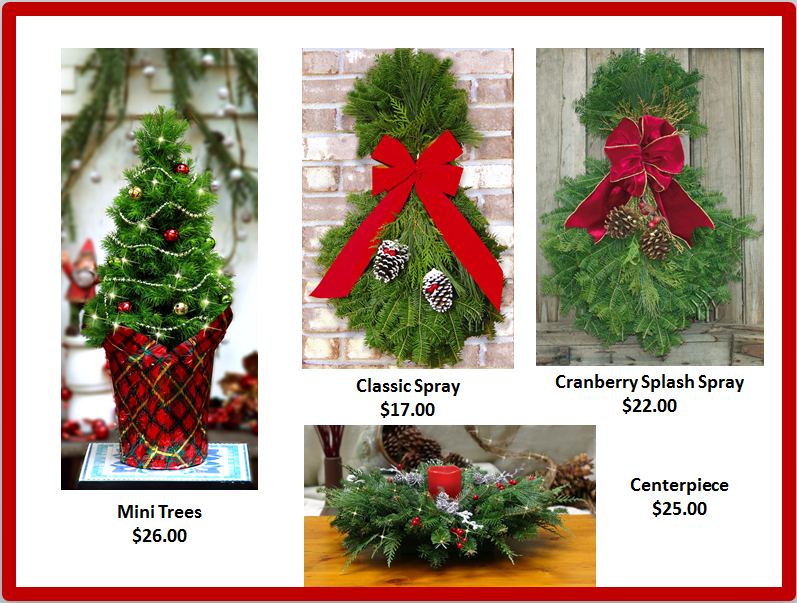 We still have a few items left to sell though, so if you are in need of a holiday spray, mini tree or centerpiece won't you please consider buying one from us? As of December 2nd we have 7 Sprays, 3 Mini Trees, and 1 Centerpiece left. Pictures and prices are included below. If you are interested in buying any of these, please contact Beth Stockdale at bstockdale812@comcast.net. Thank you all for your orders and for supporting our musical Knights' Disney trip!